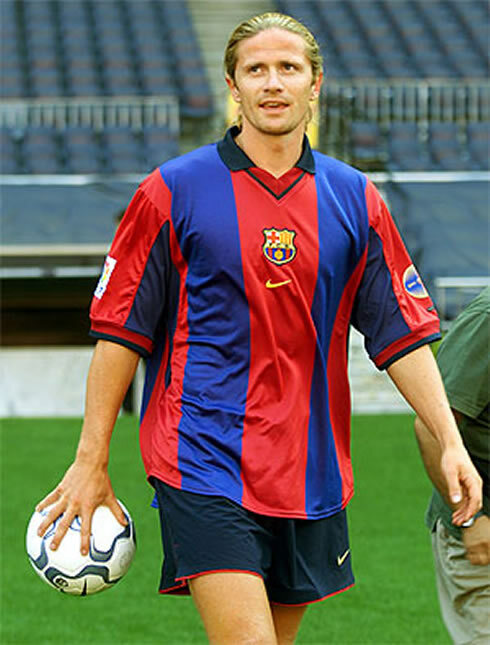 ﻿ Petit: "Messi is like a Playstation player, but I prefer Cristiano Ronaldo"
27.12.2011» Petit: "Messi is like a Playstation player, but I prefer Cristiano Ronaldo"
Despite having played in Barcelona between 2000 and 2001, the French player Emmanuel Petit confessed in a recent interview granted to FIFA.com, that he would like to see Cristiano Ronaldo winning the FIFA Balon d'Or and being crowned as the World's Best Player of 2011. 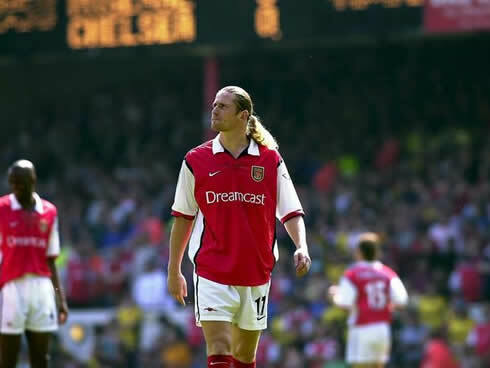 The 41-years old and former French player, Emmanuel Petit, retired back in 2004 after representing several illustrious clubs such as AS Monaco, Arsenal, Barcelona and lastly, Chelsea. Petit, who won the 1998 FIFA World Cup with the French National Team, expressed his opinion regarding the upcoming Balon d'Or award and revealed that if it was up for him to decide, he would pick Real Madrid's Cristiano Ronaldo, over Barcelona's Lionel Messi and Xavi Hernandez. 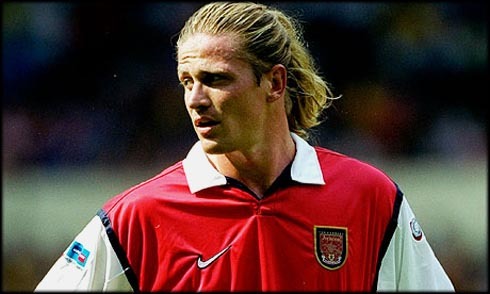 Emmanuel Petit made a name for himself while playing for the French side AS Monaco and the English giants Arsenal. The French player started his professional career in Monaco, in 1988. 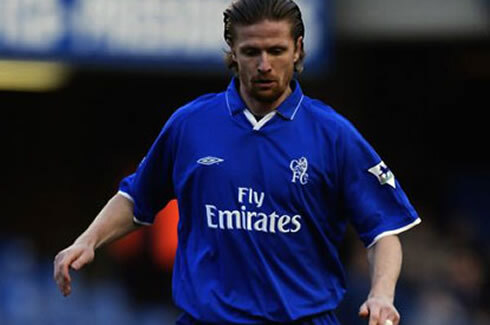 He then played at the club until 1997, in a total of 222 appearances, from which he obtained only 4 goals. 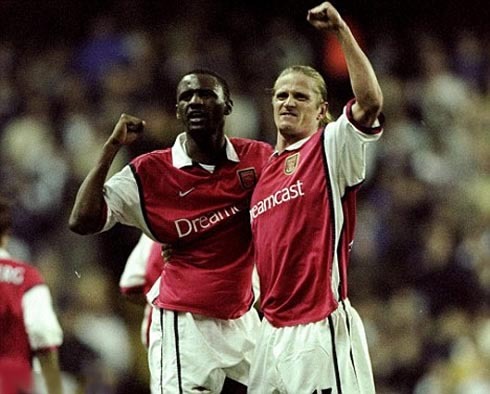 Being one of the strongest defensive midfielders of his generation, Petit arrived to London in 1997, to play for Arsene Wenger's "in-progress" dream team, Arsenal FC. 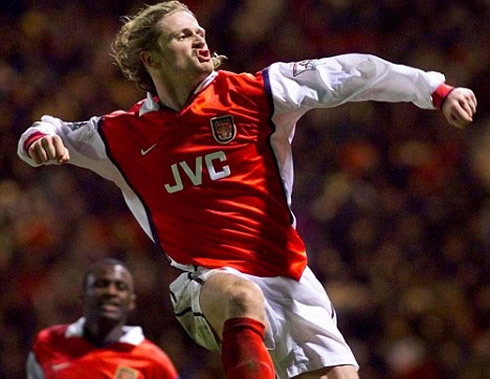 His experience on the English Premier League lasted nearly 4 years, as the French midfielder participated in close to 85 games, scoring up to 9 goals while playing for the Gunners. 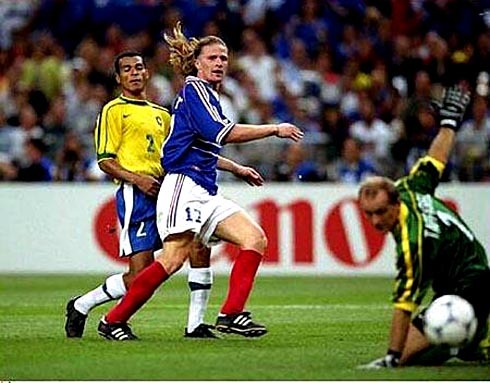 Petit had his glory year in 1998, when he got crowned World Champion after beating Brazil in the final (3-0), in a match where he scored the last goal of the clash (Zidane scored the first two). In an interview granted to FIFA this last Monday, Petit approached the FIFA Balon d'Or topic and started by making a few remarks about the final candidates: Cristiano Ronaldo, Lionel Messi and Xavi Hernandez. 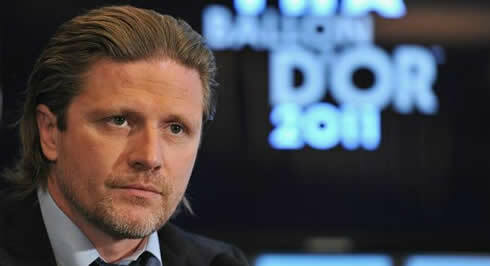 Petit: "In my opinion, they all deserve to win the Balon d'Or. Xavi managed to set a new concept regarding what a midfielder should be. He simply does everything in Barcelona: he connects the team's sectors, organizes, scores and handles the game rhythm. He just has a tremendous talent", started by noting the former French player. 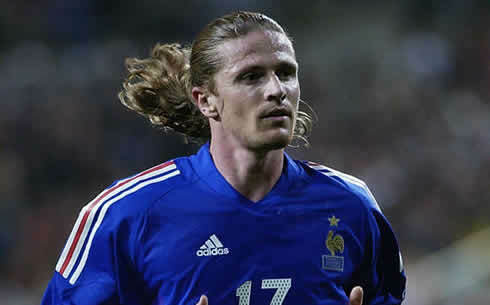 Petit: "While Lionel Messi for instance, adds a sublime touch to the team. He is exceptional. I would say Messi is like a PlayStation player, even though my final choice would end up by being Cristiano Ronaldo. But God knows how I admire both players! ", stated Petit, just before explaining why he believes that the Portuguese player should be ranked at a higher level than the Argentinian star. 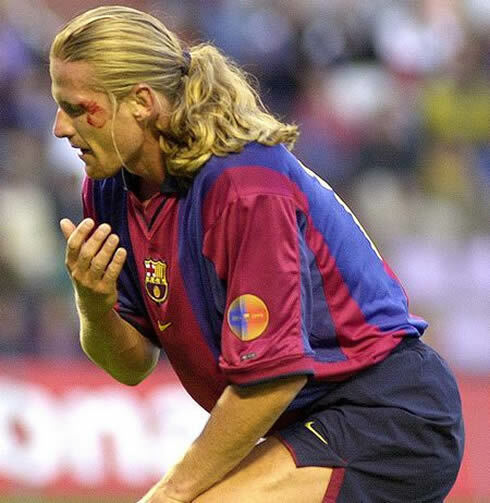 Emmanuel Petit: "If we look at the circumstances and the Spanish football overall context, playing at Real Madrid should be a bit harder than playing at Barcelona, at least at the current moment. The way Cristiano Ronaldo has been achieving those stats is simply superb and noteworthy. After achieving a "king status" in England, he didn't hesitate in risking everything by coming to Madrid. He's a man who takes chances and he likes to take and assume big responsabilities. He probably also has a better heading game than Lionel Messi, so I think he excels him for just a little bit. However, I expect that both can finally prove their value in their National Teams. 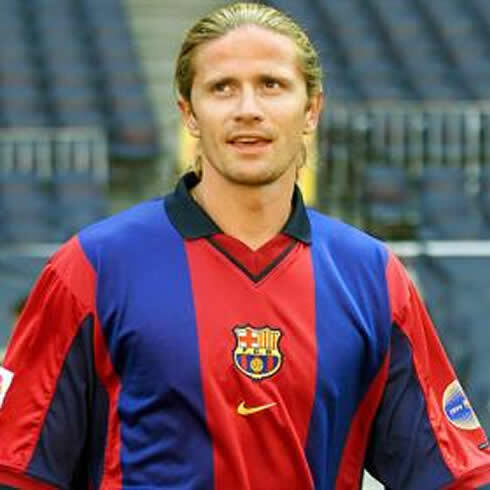 Still before closing the Balon d'Or topic, Petit was asked to elect the best players who he played with or against, and that have also won this FIFA award in the past. 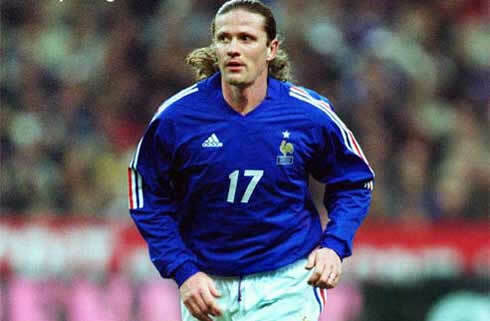 Petit: "I loved the likes of Marco Van Basten, Michel Platini, or Zinedine Zidane. In my opinion, a player who is awarded with the FIFA Balon d'Or has to meet several qualities. Setting a good example out of the pitches is certainly crutial if you ask me", pointed out the former Arsenal and Barcelona defensive midfielder. Real Madrid next match is against Malaga for the 1st leg of the Copa del Rey, in the 3rd of January 2012. The Merengues return to training this Thursday (29-12-2011). In the meanwhile, you can watch Arsenal vs Wolves this Tuesday, as well as Liverpool vs Newcastle and Manchester United vs Blackburn Rovers on Saturday, for the English Premier League. All these games are available from our soccer live streams section.